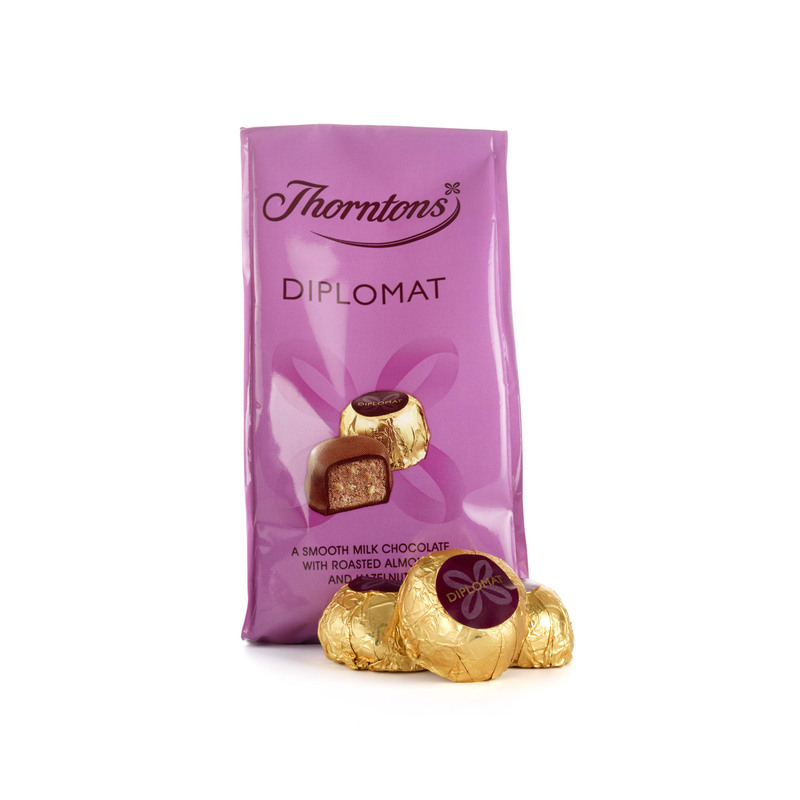 With its crunchy almond and hazelnut praline centre wrapped in creamy milk chocolate, the Diplomat is a luxurious chocolate that’s now available as part of our Favourite Flavours bags collection. 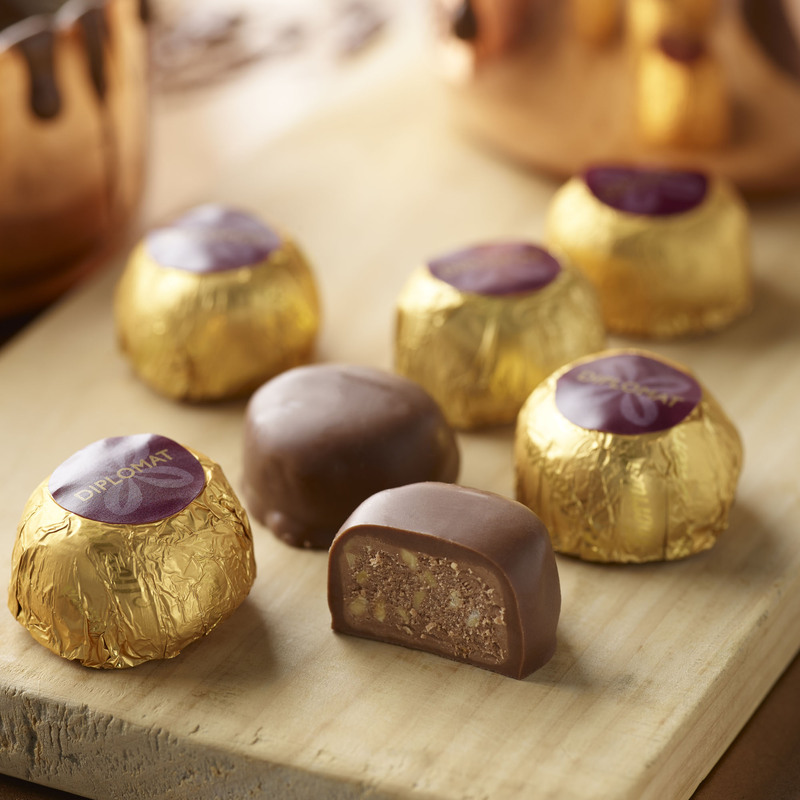 Easily recognised by its decadent gold foil wrapper, the Diplomat is a dream combination of crunchy nuts, soft praline and smooth milk chocolate. 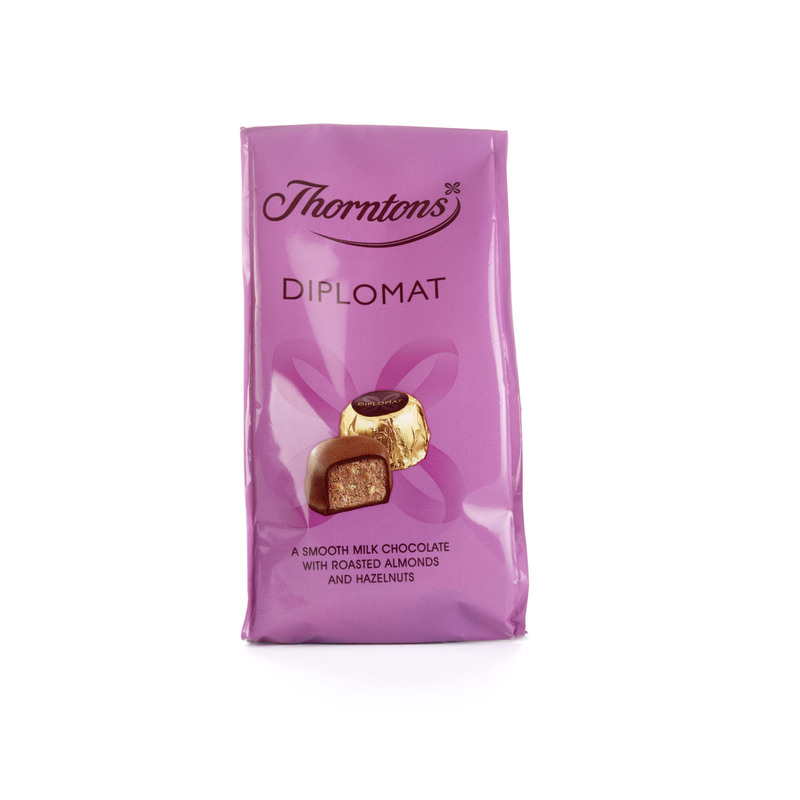 A bag of Thorntons nutty, creamy, melt-in-the-mouth-delicious Diplomat chocolates is the ideal choice when you fancy a little treat that’s a cut above. Sugar, ALMONDS (14%), Palm Kernel Oil, Dried Whole MILK, Cocoa Butter, Lactose (MILK), Cocoa Mass, HAZELNUTS (2%), Dried Skimmed MILK, Fat Reduced Cocoa Powder, MILK Fat, Emulsifier (SOYA Lecithin), Flavourings.